Wellington Library is set to become the latest Somerset library to move to self-service following its successful introduction in other libraries across the County. 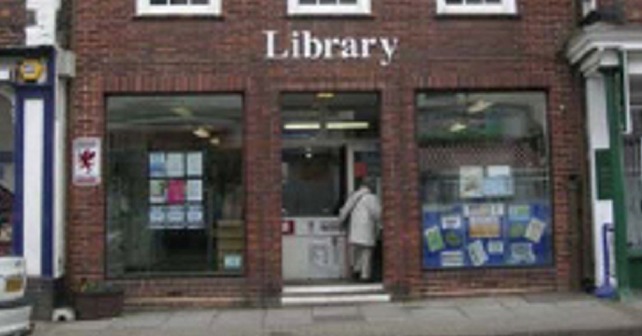 The library, run by Somerset County Council, will be temporarily closed from 24 February for building works and for self-service equipment to be fitted. The library will re-open on 31 March at 9.30am. Cllr David Hall, Somerset County Council’s Cabinet Member for Libraries, said: “I have been delighted with the reception that the self service kiosks have received in other libraries across Somerset and I’m sure that the people of Wellington will find them just as convenient. The touch-screen kiosks will allow customers to borrow, renew and return books and other items as well as to check reservations and pay charges. During the temporary closure customers can return and borrow items at any other Somerset or LibrariesWest Library, the closest being Taunton Library. Items can be renewed online at http://www.librarieswest.org.uk or by speaking to a customer advisor on 0845 345 9177. In addition to the installation of self-service, a number of other improvements will be made including the fitting of energy efficient lighting, a new enquiries desk, re-modelling of the entrance, replacing and updating signs, re-carpeting the entire library, installing new shelving and general decoration.